An interesting new article on “The Anti-Christian Alt-Right: The Perverse Thought of Right-Wing Identity Politics” by Matthew Rose has been published in First Things (03, 2018). Rose looks at the stances on Christianity of Oswald Spengler, Julius Evola, and Alain de Benoist. The article is largely descriptive, and (predictably) takes a Christian view. Rose’s characterization of Evola as “avant-garde painter, occultist, sexologist, alpinist, and unreliable scholar of Eastern religions” is memorable, if not entirely fair. 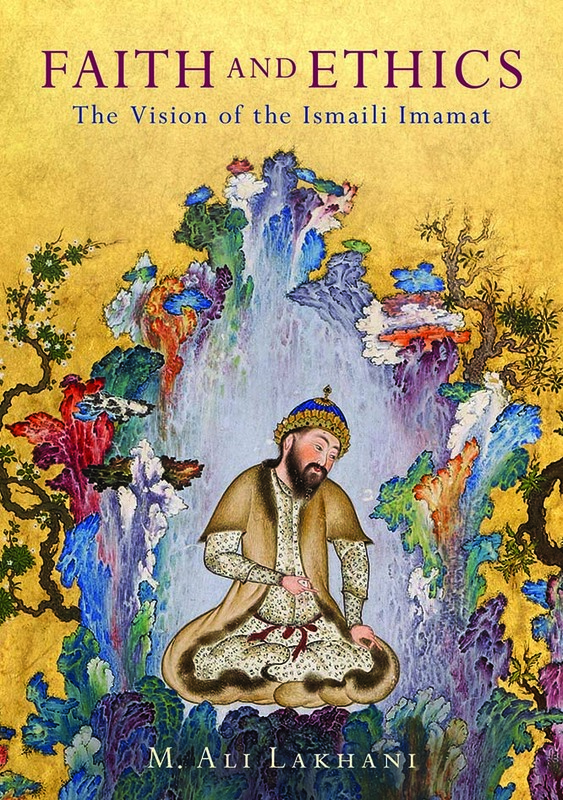 Ali Lakhani, whose article “Living the Ethics of One’s Faith: The Aga Khan’s Integral Vision” was discussed in an earlier post, has now expanded this article into a book, published by I.B.Tauris “in association with” the Institute of Ismaili Studies in London. To what extent this indicates the approval of the Institute of Ismaili Studies or of the Ismaili leadership is unclear. On the one hand, the book carries the standard disclaimer found also in other books in the series, to the effect that “the Institute’s sole aim is to encourage original research and analysis of relevant issues” and that “opinions… must be understood as belonging to their authors alone.” On the other hand, the Institute of Ismaili Studies is the Institute of Ismaili Studies. The book (pictured) is entitled Faith and Ethics: The Vision of the Ismaili Imamat. In fact, it is really about Lakhani’s understanding of the public declarations of the current imam, the Aga Khan, not of the vision of the Ismaili Imamat across time. The Ismaili sources used are almost exclusively the Aga Khan’s public speeches. Lakhani’s understanding of these follows the understanding of his earlier articles: much of the Ismaili faith is understood in Traditionalist terms. Thus “essential principles,” which the Aga Khan values, become “tradition,” and modernity, with which the Aga Khan has no real problem, becomes “modernism,” which can then be defined (citing Seyyed Hossein Nasr) as “that which is cut off from… immutable principles” (53). The Aga Khan thus appears to be taking the standard Traditionalist positon against modernity (modernism) in favor of Tradition (essential principles). The reinterpretation of the Aga Khan’s speeches can sometimes be even more strained, as (for example) when the Aga Khan’s use of the term “cynical” is glossed as meaning “faithless” (p. 56). Many would think that the two words mean different things. A question that arises is who Lakhani is trying to convince of what. Sometimes it seems that he is trying to show that the Ismaili faith is a traditional one, that it is in order for a Traditionalist to be an Ismaili, rather as Alexander Dugin once wrote a book to show that it is in order for a Traditionalist to be a Russian Orthodox Christian. Sometimes it also seems that he is trying to convince Ismailis that their imam is (more or less) a Traditionalist. This is not a view that is supported by my own understanding of the Ismaili faith or my own reading of the Aga Khan’s speeches. How many Ismailis will be convinced by it remains to be seen.